The sentence starts out making complete sense, and then throws me for a loop. And yet, it also rings very true. We often hear that standing for Christ in this world will be difficult, but my automatic assumption is that it should for some reason be different in ministry. There, we think, there is where it will always be safe to stand for Christ. 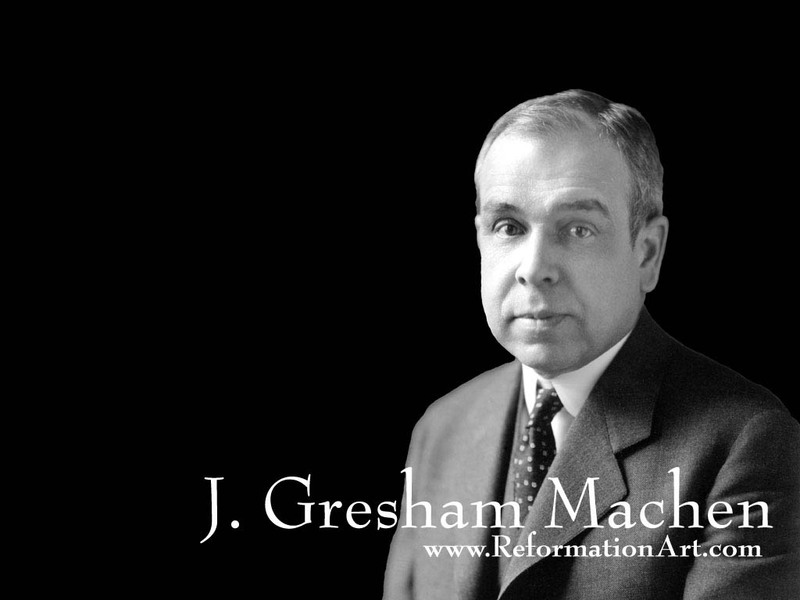 J. Gresham Machen graciously disabuses us of this false assumption, and warns students/pastors in his own day of what they ought to expect if they stand fast for confessional Christianity. R. Scott Clark posts at the Heidelblog a selection from Machen’s 1929 articlesermon “The Good Fight of Faith.” This was Machen’s farewell sermon at Princeton, after the conservatives had lost the fight for the seminary, and just before Machen would organize Westminster that fall. I thought about simply quoting and linking to it, but I appreciated and resonated with it so much I had to say a few things first. People will attack your ministry using the most pious platitudes. “Let’s focus on Jesus and not dead doctrine.” “What about the experience of Christ in my heart?” “It doesn’t matter how much you know, it matters what you do/how much you care.” “Christianity isn’t preaching/ministry/truth, it is all about relationships.” All of those statements are heard on a daily basis to denigrate Word and Sacrament ministry, and yet Machen anticipates all of them by more than 80 years. Tolerance was getting fuzzy even in the ’20s. Only sovereign grace will keep you from a compromised ministry. I assumed the challenge of ministry was to keep from sin and to clearly proclaim saving truth. That is true, but the Enemy has a thousand ways to compromise your ministry. Machen puts it eloquently: “All men will speak well of you if, after preaching no matter how unpopular a Gospel on Sunday, you will only vote against that Gospel in the councils of the church the next day…” Sermons and services and letters are fine, but don’t you dare follow through. I so appreciated hearing Machen speak to what ails us today. Read the whole quote, and pray for Christ’s Church and her ministers! You will have a battle, too, when you go forth as ministers into the church. The church is now in a period of deadly conflict. The redemptive religion known as Christianity is contending, in our own Presbyterian Church and in all the larger churches in the world, against a totally alien type of religion. As always, the enemy conceals his most dangerous assaults under pious phrases and half truths. The shibboleths of the adversary have sometimes a very deceptive sound. “Let us propagate Christianity,” the adversary says, “but let us not always be engaged in arguing in defense of it; let us make our preaching positive, and not negative; let us avoid controversy; let us hold to a Person and not to dogma; let us sink small doctrinal differences and seek the unity of the church of Christ; let us drop doctrinal accretions and interpret Christ for ourselves; let us look for our knowledge of Christ in our hearts; let us not impose Western creeds on the Eastern mind; let us be tolerant of opposing views.” Such are some of the shibboleths of that agnostic Modernism which is the deadliest enemy of the Christian religion to-day. They deceive some of God’s people some of the time; they are heard sometimes from the lips of good Christian people, who have not the slightest inkling of what they mean. But their true meaning, to thinking men, is becoming increasingly clear. Increasingly it is becoming necessary for a man to decide whether he is going to stand or not to stand for the Lord Jesus Christ as he is presented to us in the Word of God. This entry was posted in ministry, posts and tagged Machen, pastoral theology, preaching, R Scott Clark by blund. Bookmark the permalink.